Argos Cookworks Premium 4 Slice Toaster 699/1333 toaster review - Which? Argos describes its Cookworks 4 Slice Toaster 702/3176 as a 'premium four slice' - a bold claim for such a cheap toaster. We've seen own-brand models with a premium performance to rival expensive designer ones before, but does this cheap yet stylish Argos toaster make consistently great toast? We tested it to find out. 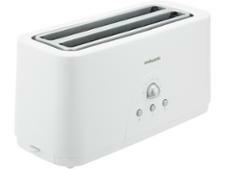 We have tested 292 toasters and found that there are 25 Don't Buys and 88 Best Buys. Additional infoWe introduced new toaster tests in December 2013. This toaster has been tested to the new test programme. Results for toasters tested before December 2013 aren’t directly comparable. Which? helps you find the best toaster for you. 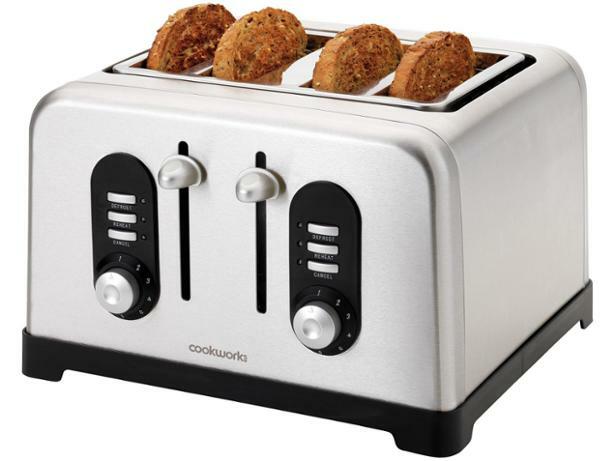 We run through standard toaster features as well as added extras for toasting bagels. 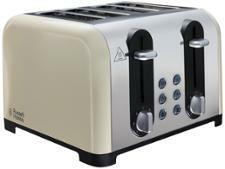 We assess if you really need a Dualit toaster or if you can still enjoy top toast on a budget. 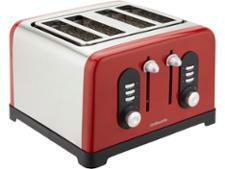 Find out which toaster brands are the most reliable and make the best toast. Our unique research reveals how brands like Sainsbury's, Dualit, Delonghi and Morphy Richards compare, as well as how to fix common toaster problems.